Sushil Kumar Modi is an Indian politician from the Bharatiya Janata Party who is serving as Deputy Chief Minister of Bihar since 27 July 2017. 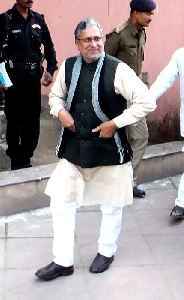 Previously he was Deputy Chief Minister and Finance Minister of Bihar from 2005 to 2013. He is a lifelong member of the Rashtriya Swayamsevak Sangh. He was appointed the Chairman of the Empowered Committee of State Finance Ministers for the Implementation of Goods and Service Tax in July 2011.